Welcome to BELFEED a Belgian company specialized in fermentation technologies. We develop and produce high value ingredients for animal feed. 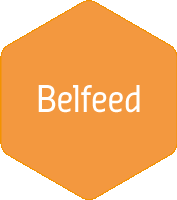 BELFEED offers a range of high value feed ingredients. Fermentation technologies are at the heart of all our solutions. We give absolute priority to product innovation and development. We create top-quality solutions that meet the strictest demands in the feed industry. BELFEED works with a global network of distributors. To find your distributor, select your country and provide us with your email address. EU sorghum varieties are tannin free. This is beneficial to use as a feed ingredient in animal diets.